I can’t imagine today’s playwrights – the likes of Tom Stoppard, Jez Butterworth or Alan Bennett – resorting to dark deeds in the pursuit of ambition but Ira Levin’s slick thriller, Deathtrap, poses the question. 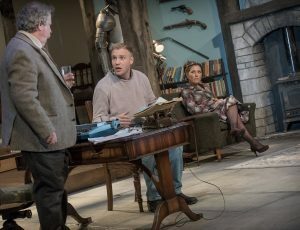 This award-winning play, which is an homage to thrillers and their writers as much as it is about murder, is back on tour and opened last night at The Waterside Theatre, Aylesbury. I’ve seen the show several times over the years and it never fails to entertain. Levin conjured up a fiendishly clever plot and embellished it with his trademark wit. 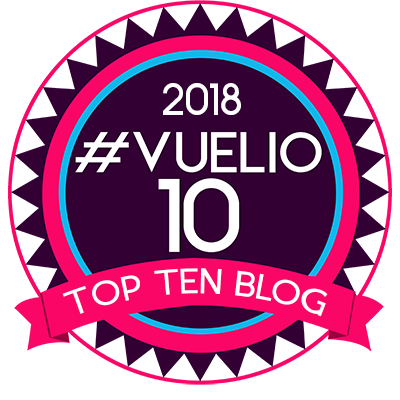 So while we may be watching a psychological thriller in which we’re never sure who the victim is going to be, much less the murderer, there is enough gallows humour and plot twists to keep the most cynical of audiences on the edge of their seats. This latest production, directed with real style by Adam Penford, ought to come with a health warning. Anyone of a nervous disposition should be prepared for its startling, loud opening, both at the beginning of the first and second acts. I jumped a foot out of my seat. Anyone with a weak heart could require paramedics. It is refreshing to see an audience react so positively to a play that is celebrating its 40th anniversary next year. Unlike the creaky Agatha Christies and Ruth Rendells that regularly do the theatrical rounds, here is a comedy-thriller that keeps on giving. A play within a play (within another play..) Deathtrap is set in the comfortable Connecticut home of Myra and Sidney Bruhl. He was once a successful playwright but hasn’t had a hit in 18 years. He earns a bit teaching creative writing but the couple live mostly on her money. It’s fair to say that his self respect has hit rock bottom. Then one day he gets a play sent to him by Clifford Anderson, a former student of his. 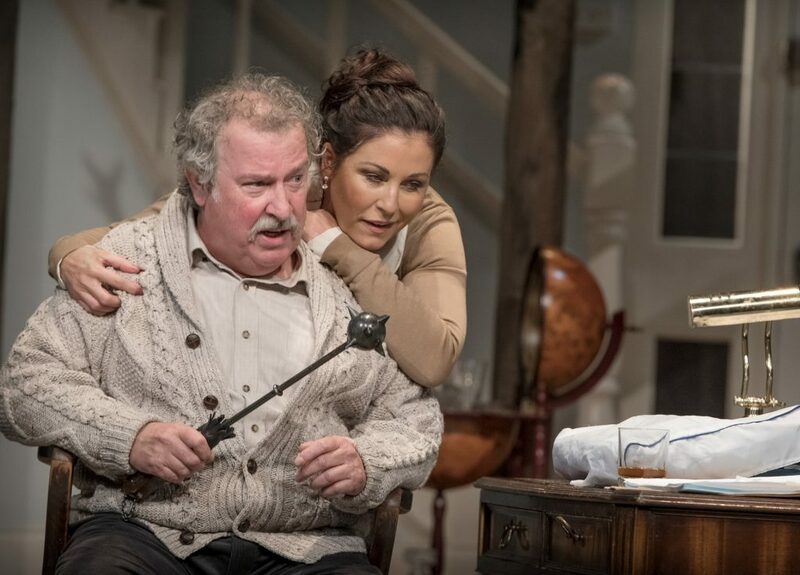 It’s called Deathtrap, a play in two acts with five characters – just like the play we’re watching. Life imitates art – or is it the other way around? Bruhl considers killing Anderson and keeping the play for himself. His wife is horrified. Surely he wouldn’t actually kill a person, would he? But nothing is straight forward and I’m not going to say any more about this brilliantly conceived story for fear of giving the game away. Suffice to say that murder is committed – but my lips are sealed as to who is dispatched and by whom. 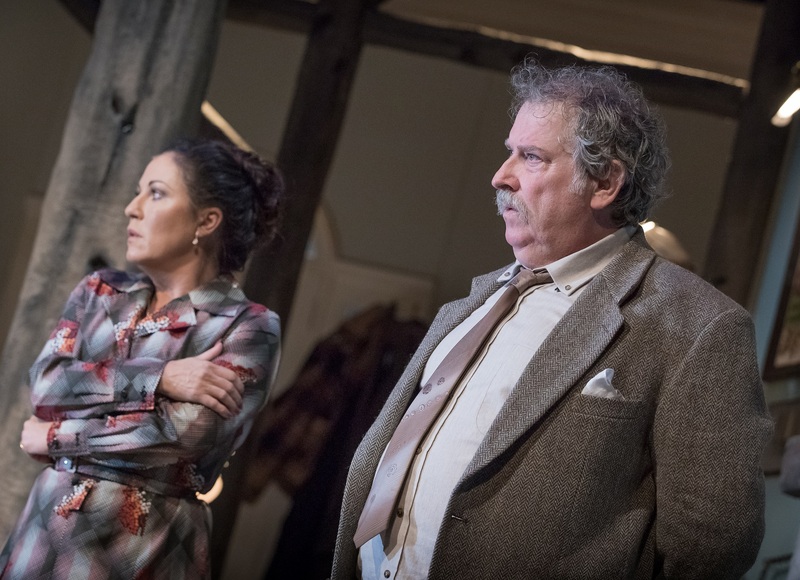 Deathtrap is a real roller-coaster with cute one-liners taking the tension out of what could be quite brutal and darkly violent scenes. Bruhl is played, with a rather wavering American accent, by stocky TV and stage actor Paul Bradley. He delivers a sound performance but struggles, physically, with some of the action scenes. He also needs to request a costume rethink from his director. Burdened with thick jumpers the sweat was pouring off him last night and he was having to constantly mop his face. But his scenes with aspiring writer, Anderson (Sam Phillips) are well played. Bruhl’s jealousy, paranoia and ambition, give both men food for thought. Is there another play in the making? Phillips is a picture of innocence. He offers up a warm smile and good manners, and has the locals eating out of the palm of his hand. Charming yet ruthless, it’s a darned good, utterly convincing, performance. 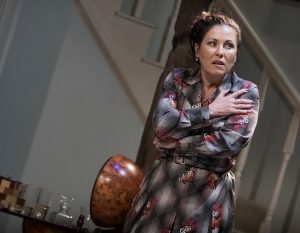 Jessie Wallace, as Myra, is sorely under-used. She is simply asked to haunt the beautifully appointed lounge and whimper her concerns. It’s not much of a part for any woman. Yet Levin has given one woman an outstanding cameo. Beverley Klein is allowed to overact outrageously as the eccentric – no, make that barking mad – Swedish psychic Helga ten Dorp whose uncanny ability to detect past incidents almost gives the game away. It’s a hilariously ridiculous performance, with an accent that is reminiscent of the Swedish Chef off The Muppets, but it is a real show-stopper in the production. She’s insane. Director Penford is clearly a fan of the genre and I applaud his decision to include brief film clips from some of the greatest thrillers ever staged or, indeed filmed. In-between scenes we see snatches of the great classics – Gaslight, Dial M For Murder, Witness For the Prosecution and Sleuth – and Deathtrap is right up there with them. It’s fun, superbly entertaining and the levity nicely measured to add to the suspense without preventing the play becoming a spoof. 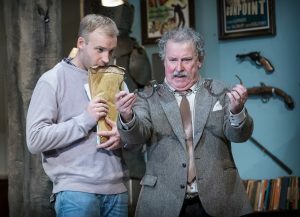 Deathtrap plays at The Waterside Theatre until Saturday. Brilliantly conceived & skilfully executed. 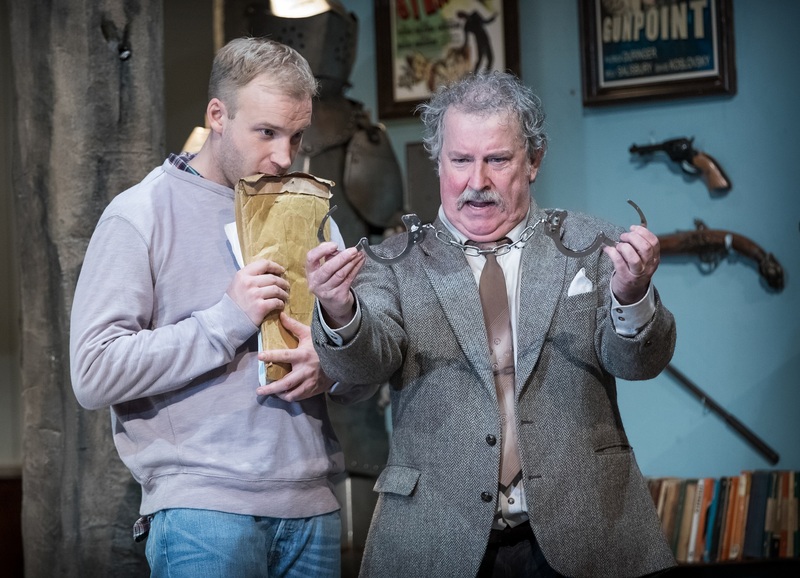 There are enough plot twists in comedy thriller, Deathtrap, to please the most ardent fan of the genre. A STELLAR performance (as the young playwright, Clifford Anderson) by the young ? SAM PHILLIPS whose good looks, fine figure and Herculean energy shines throughout this “must see” production. And who has penned this glowing critique? why, none other than his meddling and puffed up with pride MOTHER, Mrs P who is likely to be murdered by her son when he reads this!! Now THERE’S a plot for a new play . Haha. You have every right to be proud. I thought that he was the best actor in the production..don’t tell him I said that! !